The calves and ankles make up one of the more challenging areas to perform liposuction on, as the liposuction specialist must essentially shape the whole lower leg, all the way around from the knee to the ankle, to achieve a well-shaped contour. Women interested in liposuction of the calves and ankles have tried working out with targeted exercises, but to no avail. The calves and ankles are very hard areas to lose fat and sculpt shapely calves with diet and exercise alone. What is the Aesthetic Goal for Shaping of the Calves and Ankles? Much like women who have problems with their hips and refer to the fat deposits as “saddlebags”, women lacking calf definition and large ankles say they dislike their “cankles.” For these women, they feel embarrassed by the fat deposits and hesitate to wear high heels. For others, they can’t find boots to fit because their calves are too big or don’t want to wear shorter skirts or dresses. What Results Can Be Expected from Liposuction of the Calves and Ankles? Expert liposuction of the calves can reduce the bulky look and results in slimmer and more tapered lower legs. 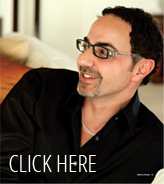 View Dr. Amron’s exceptional results by viewing the before and after photos of actual patients. Who is a Good Candidate for Calves and Ankles Liposuction? Dr. David Amron will carefully examine your calves, starting from the knee crease all the way down the natural contour of the calf muscle. He will determine the amount of fat and the best areas to liposuction to achieve a more aesthetically pleasing calves and ankles. How is Liposuction of the Calves and Ankles Performed? 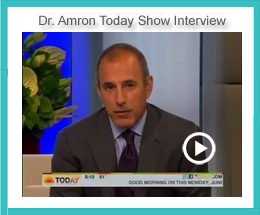 Learn more about Dr. David Amron’s Precise Liposuction Technique and Philosophy. Many less-experienced liposuction surgeons avoid this area. Like other areas, Dr. David Amron knows that correct placement of the incision points is crucial to a great result. The only way Dr. Amron has found it possible to be consistent without jabbing the skin from underneath is to place two upper incision points toward the posterior lateral, knee and two lower incision points toward the lateral ankle. This particular part of the body requires an extremely precise approach to achieve good results. How Much Does Liposuction of the Calves and Ankles Cost? Dr. David Amron is pleased to offer patients a consultation. The first step to the body or shape you desire is to schedule a consultation to discuss your aesthetic goals and if liposuction of the calves and ankles will achieve these goals.